Early bird gets the deals! Are you an early Christmas shopper? If you are not...you may want to re-think that. Because I am having an early Christmas sale! Choose your sale! Either Free U.S. Shipping OR 20% OFF! To take advantage of the FREE U.S. 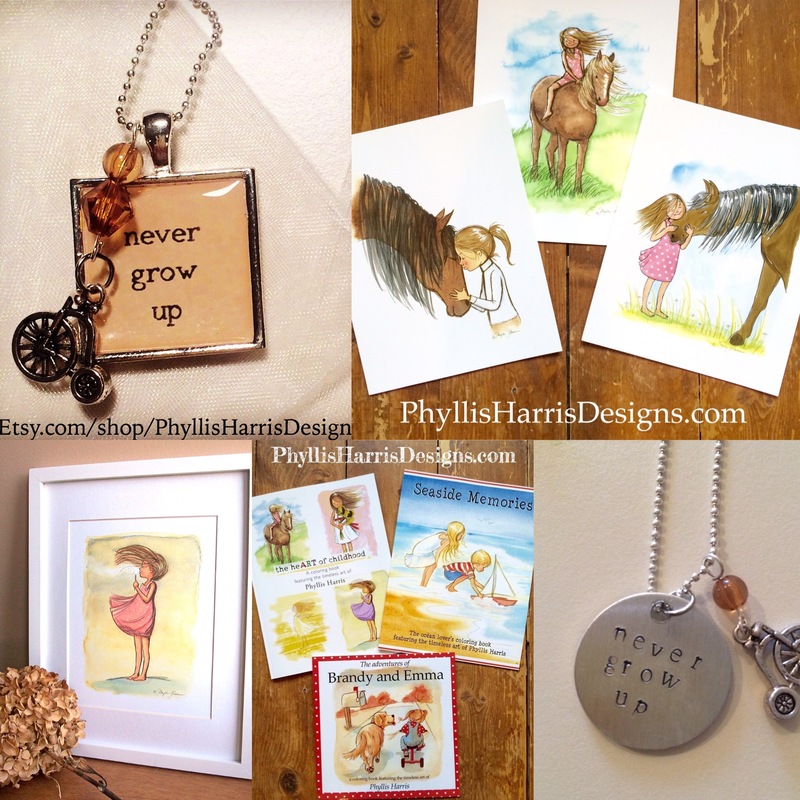 Shipping use the special coupon code: USShipFree at checkout OR if you would rather use the 20% OFF everything, use the code: EarlyBird20 NOTE: This sale is only good in my PhyllisHarrisDesigns.com shop. Offer expires Monday, October 24th at midnight 12pm CST! 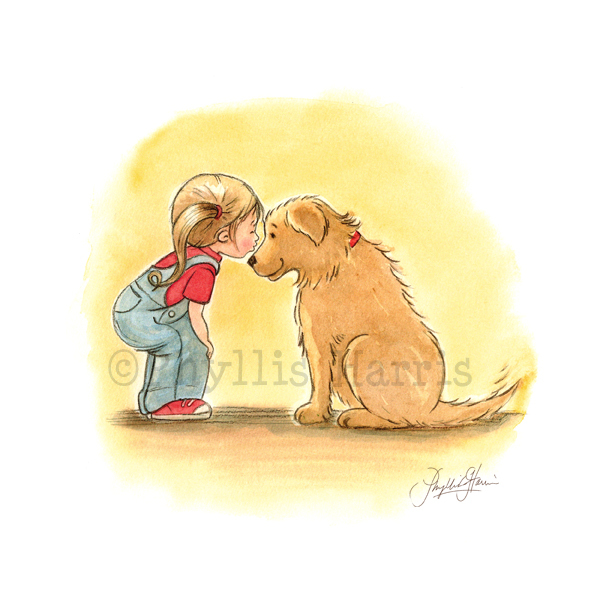 And remember...Every purchase of a heart-warming Phyllis Harris Designs illustration print donates 5 percent of every illustration print sold from our website to Children's Mercy Hospital. Thank you for being a part of my creative journey. I am so grateful for each and every one of you! 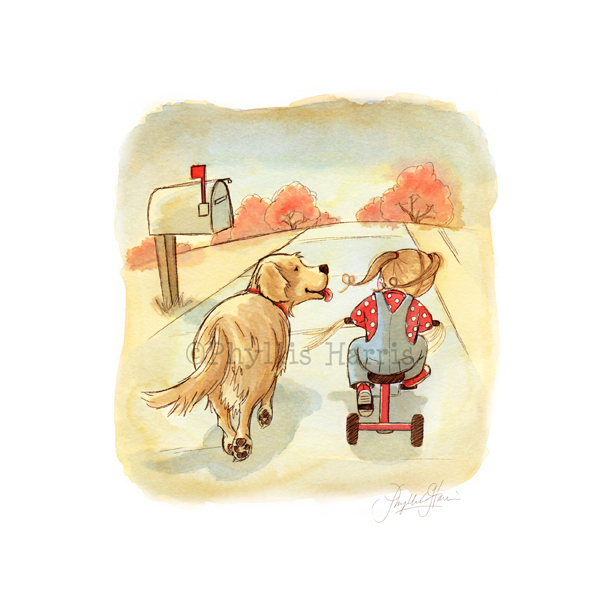 Every purchase of a heart-warming Phyllis Harris Designs illustration print donates 5 percent of every illustration print sold from our website to Children's Mercy Hospital. I live in the mid-western part of the United States where we have EXTREMES in weather conditions. We have COLD winters and HOT, humid summers. These days seem to drag on. 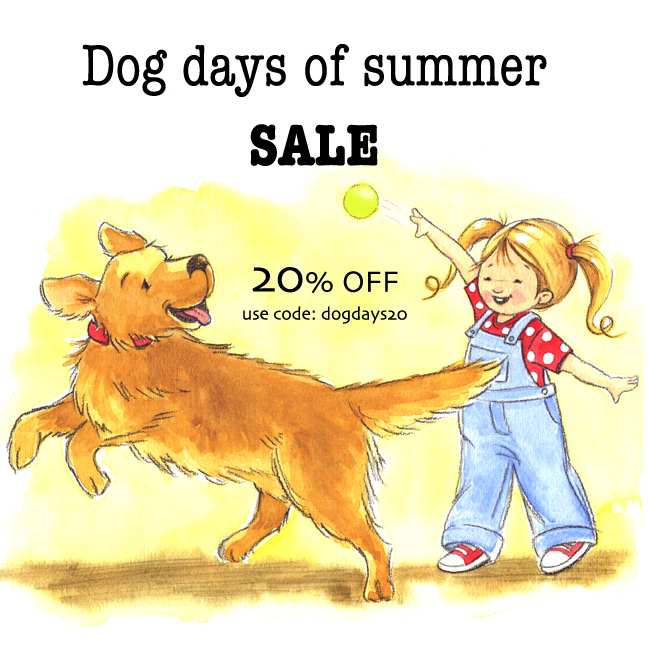 So to help us get through these dog days of summer, let's have a SALE! I am offering 20% off EVERYTHING in my shop from now through Sunday, July 24th. Use the code: dogdays20 to receive 20% off your entire order. Everything is on sale including jewelry! $6 flat rate shipping in the U.S. no matter how much you order and FREE shipping on orders over $100. Go SHOP now! Thank you for being a part of our wonderful community. I am so grateful for each and every one of you! What a great way to start the summer! Many celebrate this upcoming Memorial Day holiday in the US by heading to the local pool or beach. Some go camping and enjoy family time. But I also don't want to forget the reason for the Memorial Day holiday. Memorial Day is a federal holiday in the United States for remembering the people who died while serving in the country's armed forces. I am so grateful to the men and women who serve our country and sacrifice so much for our freedom. To help celebrate Memorial Day I am offering 20% off everything in the shop! Starts now and runs through May 31, 2016. Be sure to enter the coupon code MEM2016 at checkout. Start shopping now! 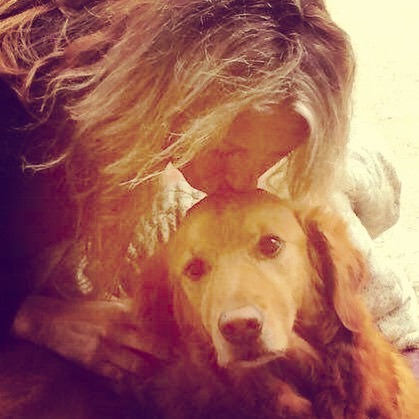 As many of you may already know, I love golden retrievers. We have had the wonderful pleasure of rescuing 2 of these beautiful dogs over the past 20 plus years. I have spoken of Cassie, our most recent golden, in past newsletters. Sadly, we had to say goodbye to our beloved Cassie a week ago and it was truly one of the most difficult days of our lives. It was very sudden and anyone who has owned and lost a dog, knows what we are feeling and the hole and ache that is left behind in our hearts. She was my constant studio companion and I miss her so. In honor of our precious Cassie since she gave us so much over the past 6 years. I am offering you, my wonderful followers and friends, a 20% off discount on anything in my shop through the month of May. Enter the special code CASSIE20 at checkout. Last day of the BIGGEST sale of the year! 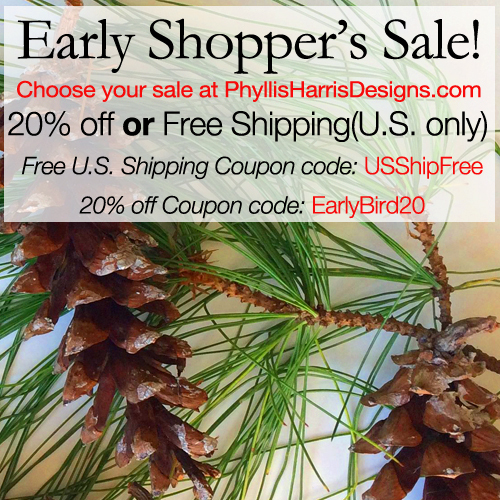 This is the last day for Phyllis Harris Designs biggest sale of the year! Sale expires at midnight on Monday, November 30, 2015 CST. 30% off($30 min.) using code: 3030SALE. Everything in the shop on sale! Jewelry, Books, Canvases and Prints! Discount available in either shop. Be sure to take a peek at my newest 2 minute video, too! My talented husband provided the background music. It is his original song title, "Thanksgiving". 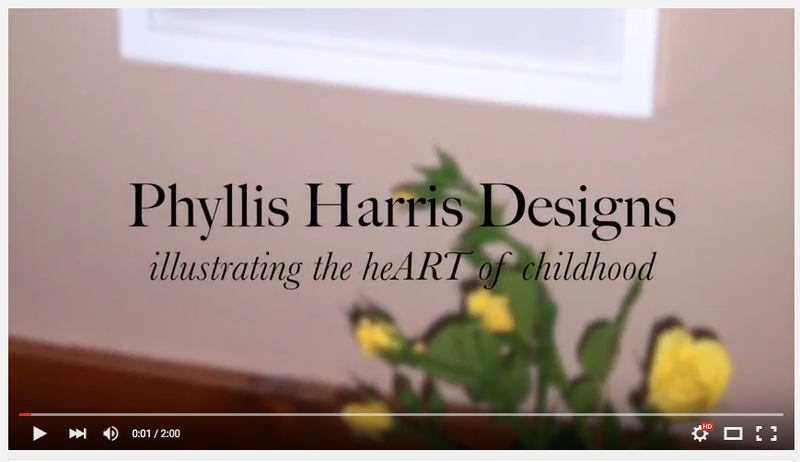 You my friends, are the reason for the joy and success of Phyllis Harris Designs and I cherish you and your support. I so appreciate you sharing our website with your friends and family; and I wish you all a blessed Christmas season!